Two new Disney Infinity 2.0 characters have leaked ahead of an upcoming reveal. 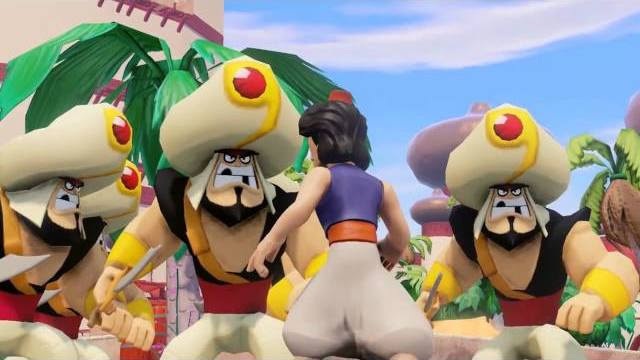 Aladdin and Jasmine are both being added to the game, based on a now-removed trailer uploaded on YouTube. A snapshot from the video is posted above. New character reveals for @DisneyInfinity tomorrow! We are super excited to see your reaction – I think people are going to be psyched!